Stegosaurus Studios: Still Taking Commissions! Hey gang, just a reminder. 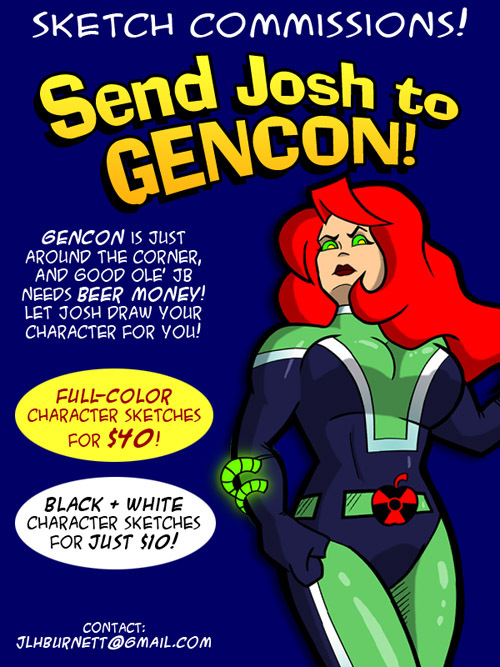 The Send Josh to Gencon promo is still going on, and I am still taking commissions. Full color character sketches are $40. Black and White sketches are just $10! To order your commission, please contact me at jlhburnett at gmail dot com!